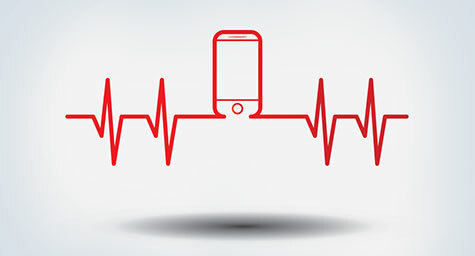 3 Reasons Medical Websites Must Be Optimized for Mobile, Stat! As mobile devices likes smartphones and tablets have gone from novelty to necessity, mobile usage has reached epic proportions as consumers are now able to access the Web from anywhere, at any time. Websites may have originally been designed for desktop dimensions, but the popularity of smaller screens has made it critical to optimize their proportions for viewing on mobile devices. While many medical practices have realized this urgent need and have already optimized their websites, some are still operating with sites that cannot be viewed or used on mobile devices. To see why optimizing your website for mobile is such an emergency, MedNet-Tech.com featured the following vital reasons. Mobile Patients Have No Patience – While desktop users usually search and surf the Web at a leisurely rate, mobile users are typically on the go or rushed to find immediate answers. They want fast facts, like your location and phone number, and don’t want to wait. Optimized websites load quickly and let them view practice information with ease. Non-optimized sites either take too long to load or are difficult to view and use, which makes prospective patients give up and look up another practice. Mobile Sites Develop Trust – Mobile sites make a practice look better. If users can’t access a practice’s website from their from their mobile devices, they question the quality and credibility of the doctor. But having a mobile-optimized website makes the practice seem reputable and successful, which turns users into patients. 25% of All Web Searches are Made On the Move – With mobile sites receiving so much daily traffic, practices that haven’t made their websites mobile-friendly are crippling their SEO progress. This weakens their search rankings and stifles their success. In today’s mobile age, operating a practice without a mobile-optimized website is truly a crisis situation. With people constantly connected to their mobile devices and patients increasingly seeking medical help online, practices must optimize their websites for mobile viewing in order to survive and thrive. Check up on what’s going on in healthcare marketing. Contact MDG Advertising.